Even the United Methodist Church Can't Stay Out of the Immigration Debate. Here's What They're Saying About AG Sessions. Plenty of criticism has been hurled at the Trump administration this week over the current policy of separating families at the border who are caught illegally trying to enter the U.S. 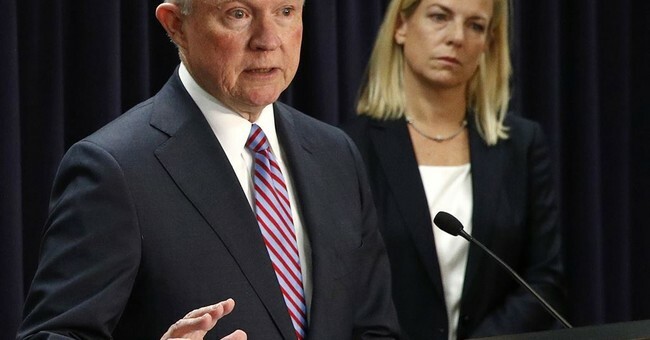 Receiving the brunt of it is Attorney General Jeff Sessions, who announced the administration’s “zero-tolerance” policy back in April after a spike in illegal border crossings was reported. Now the Attorney General’s own church is joining the cacophonous chorus of critics. The signatories claim they have an “ethical obligation” to speak out against such actions (emphasis mine). "While other individuals and areas of the federal government are implicated in each of these examples, Mr. Sessions - as a long-term United Methodist in a tremendously powerful, public position - is particularly accountable to us, his church,” the letter reads. “He is ours, and we are his. As his denomination, we have an ethical obligation to speak boldly when one of our members is engaged in causing significant harm in matters contrary to the Discipline on the global stage." They also believe Sessions’ pastors, Rev. Boykin and Rev. Wines of Ashland Place United Methodist Church in Mobile, Alabama, have a responsibility to intervene. What that “reconciling process” would consist of is not entirely clear. Regardless of what his church has to say, Sessions made it clear he stands by the administration and its immigration policy. “The parents are subject to prosecution while children may not be. So, if we do our duty and prosecute those cases, then children inevitably for a period of time might be in different conditions,” he explained.